It's the ultimate in-person motorsports experience. Multitudes argue it's an awesome occasion for fans of any sport. Quite simply, it's an experience in prime position on an infinite number of Bucket Lists. It's right up there with attending a game at Yankee Stadium, surviving a sub-freezing home football face-off at Lambeau Field and witnessing the bestowing of a new green jacket upon the newest Masters champ at Augusta. In each of these cases, it doesn't matter if you're a sports die-hard or not. It's a must-do. For places like the above, it's not just the address the iconic sports venue occupies. It's not just the historic sports moments that played out on the property. It's not even the names of the athletes who added their names to the record books. For each of these places, it's the atmosphere, the aura, the event experience that surrounds them that makes them so special. And rest assured, when you're talking about a NASCAR showdown at Bristol Motor Speedway, there's no bigger truth-in-advertising statement than simply saying "It's Bristol, Baby!" Whether you are visiting "The Last Great Colosseum" as a first-timer or have been part of Bristol's loyal fan base for years, this collection of tips and helpful hints is designed to give you the inside scoop on getting the most out of your experience. It's the equivalent of sitting on the front porch with an old-timer who's willing to share the precise location of the area's best fishing hole. It could take you years to figure out all these things on your own, so enjoy each nugget of insight that helps you zero-in on the best catch. You're fishing for an epic adventure and here are 10 hacks intended to help your pilgrimage to the mecca of motorsports that is Bristol Motor Speedway. Insider Tip #1: It's Smarter and Cheaper To Buy Your Tickets Directly from BMS! Buy your tickets directly from Bristol. What's available online through our own website shows you plenty of options, but if you don't see what you really want or aren't sure, our customer service reps are top-notch when it comes to getting you the best seats. Keep in mind, our track truly is different than most - think of it as a huge college-football-style bowl stadium enclosed on all sides, then put that on steroids and place a half-mile oval in the center. That means there's truly not a bad seat in the house. That also means choosing a seat often comes down to personal preference. Bristol's customer service representatives really assist fans with available options be it the lower-priced tickets or VIP premium experiences. Plus, if there's ever an issue with a ticket, a lost or stolen ticket you'll get immediate assistance in sorting it out. If you picked up a scalper deal you're pretty much out of luck, as you run the risk of the tickets not being legitimate. Don't risk the headache or your money - purchase directly from Bristol Motor Speedway. Here's another bit of insight: Explore the Season Ticket option. Bristol makes a promise to its ticket holders that the pricing you receive as a season ticket holder will never be undercut with a last-minute offer or discount deal. You'll want to go to all four big races during the two NASCAR weekends each year, so it's worth it. The season ticket holder/Bristol REWARDS program earns you membership and secures the best pricing on the four-race package (each XFINITY and each Cup race). It also means you get access to several other cool events the track hosts for season ticket holders at race time. Save money, choose the best options and get invited to exclusive events? That's a big win for our guests. Parking can be a huge hassle when you attend any big event, so save yourself some time by avoiding the hunt-and-seek game for the best spot. All of the on-site spots at Bristol Motor Speedway require official venue parking passes (even the handicapped spots, so check the website and plan ahead for that process). And just like everywhere else, folks who live around the property will sell you a spot in their yard or field for a few bucks, but then you're stuck walking and hoping no one blocks you in. Don't bother to try to find a spot along the side of the road to park. Much of the roadside around the Speedway is designated 'No Parking' for safety reasons. The spots you may find almost certainly guarantee you a substantial back-and-forth walk. One of the best kept secrets about Bristol Motor Speedway is its Free Parking area, so skip the race-day headache and plan on that option from the start. The Free Parking areas are located off Hwy 394 on the Dragway side of the track and are clearly marked. The bonus? The Speedway provides shuttle bus service from the Free Parking lots over to track property so you can save wear and tear on your feet - it's free too. And finally, if you want to park "right outside the door," Bristol Motor Speedway does offer paid Premium Parking, on-property between the Speedway and Dragway, adjacent to the Fan Midway. These spots are limited and the inventory dwindles quickly Call 1.866.415.4158 for purchasing information. Insider Tip #3: You Can Bring Food/Beverages In With You! A wide variety of concessions, beverage and food vendors offer up some tasty and unique options fur purchase inside the track and throughout BMS property. But as a Bristol guest, you also have the option of bringing in your own food and beverages, as you're allowed to bring a cooler in with you! Coolers cannot be larger than 14" x 14" x 14" and no glass containers are allowed inside, but having a personal cooler on-hand can be a life saver if you're concerned about costs and are willing to plan ahead. Some bonus info: Guests are also allowed to bring one CLEAR bag for race day essentials. This comes in handy for things like cameras, snacks, sunscreen and more. Again, the bags must be clear and cannot be larger than 14 x 14 x 14. The large Ziploc bags make a great choice to transport your at-the-track items. Small clutches/purses no larger than 4" x 6" are also permitted (these do not have to be clear). Just know that when you enter the gates, these all coolers/bags will be inspected. It's also a great idea to check out Bristol's prohibited items list online or in your Guest Guide. Depending on whether you're camping for a long race weekend or just taking in the Bristol experience for one day, you may think you've explored everything available outside the gates after a few hours on-site. Don't be fooled, there are two distinct sides to the property at Bristol and each one offers something different for fans. The FAN ZONE, located just inside the Speedway's North Entrance (near the large marquee sign and the iconic Bristol Turn 2 Tower) includes souvenir haulers and vendors offering driver/team merchandise, the Bristol Kid's Zone, an information-packed Guest Welcome Village and the popular NASCAR TrackSide Live stage. Many fans spend hours taking in the sights and sounds there before heading inside the stadium for the start of each race. At the same time, the FAN MIDWAY presents its own share of offerings. Located in the lot between the Speedway and Dragway, guests can spend time enjoying VIP experiences in Hospitality Village and checking out the wildly fun interactive setups by corporate sponsors, visit Guest Welcome Village and more. You'll definitely want to check out both areas. On-site shuttles will get you around the property. Check out our online maps for more info. Insider Tip #5: You Don't Have To Walk The Hills! Undoubtedly, the setting for Bristol Motor Speedway is among the most beautiful any sports venue could ask for. The description 'nestled in the foothills of the Appalachian mountains, surrounded by picturesque hills, mountains and valleys…' is more than just a write-up on some tourism brochure - it truly describes the landscape of this Speedway. And that means the property is full of hills that those from the plains states shudder to think of climbing and inclines that can put the hurt on a pair of unchallenged calf muscles in a New York minute. Amateur mountain climbers rejoice - Bristol's shuttle and tram service around property virtually ensures you won't have to trek any hills unless that's your choice. Continuously running a handful of routes throughout race days, tram service takes fans up the steepest inclines, including the curving incline that brings you to the main ticket office, largest year-round souvenir store and office building on the grounds. Take a minute to study the route maps that mark each of the stops. Your feet - and those calf muscles we talked about earlier - will thank you at the end of the race day. And it's always a great idea to wear comfortable shoes! This is a 2-parter: First, put Guest Welcome Village/Guest Services on your 'must-visit' list (there are two on the Speedway's property). Second, visit them early and often. Got a question about where to catch a glimpse of a driver? Want to know the preferred place to go in if you're sitting in Wallace Tower to watch the race? Or, just want a place to kick back in a country-style rocking chair for a few? The two huge Guest Welcome Village tents in the FAN ZONE and the FAN MIDWAY, as well as all Guest Services Kiosks are staffed with people who know all the answers. Pretty much, these are big fan comfort and information areas that are worth your time to check out. Charge up your mobile device, take advantage of free WiFi, watch TV an more. Where do you think the race track keeps the trophies before they're presented in Victory Lane? The Insider is about to blow your mind with this tidbit: each one is on display prior to the start of the race in the main Guest Services area, just inside the Bruton Smith Office Building. This area is set up with all the information a race fan could ever want, and no other track I've found lets you snap a pic with the exact trophy the winner will later take home. If you're not familiar, Bristol's Cup Series race trophy is HUGE. Stand it up next to a 7 year old and he'll have to look up to see the top. Visit Guest Services, snap a pic and sent it out tagged #ItsBristolBaby. You'll be the envy of all your friends stuck watching this epic race from home. The Insider mentioned in Tip 1 that Bristol's setup is different from most, that it's a huge college football-style bowl stadium enclosed on all sides. That place isn't known as Thunder Valley for nothing. Put it this way - you don't just watch a NASCAR race at Bristol Motor Speedway. You feel it. You smell it. True sensory overload. Television coverage can't do this place justice. You have to plan Bristol as an in-person experience. Then, plan to be absolutely blown away. The sound? Intense is all I can say. Don't try to be a big man and sit through a Bristol race without earplugs. You can do it at other places, but not here. With tall grandstands and luxury boxes surrounding the race surface on all sides, the massive and powerful engines rumble and roar to create a thundering noise that rattles your cage and truly shakes the floor. Forget about talking to your buddy one-seat-over when 43 cars are racing at full speed. You NEED earplugs. Even better? Treat yourself to a scanner rental and listen in on the teams talking about their next move or to hear what the driver who just hit the wall has to say. Or take the more tame audio feed from the broadcast booth for a true play-by-play. You can even rent ones that allow you to talk back-and-forth. You won't regret the choice, or even wonder again where they got that Thunder Valley name. Bristol offers something really cool to fans on Cup race day - a Track Walk that's part of several of the pre-race ticket packages. The track opens the gates at the Start/Finish Line flag stand and fans are allowed to walk down on the track's famed racing surface. It's self-paced, so you have over an hour to make your way from one side of the pit wall to the other side. The race teams are often doing last minute adjustments to the cars and the Track Walk gets you close enough to get a good view of the action. Call the ticket office to learn how you can be on the track prior to the Cup races (1.866.415.4158). Bonus Insider Tip: Take a silver Sharpie with you for the Track Walk. When you first get on to the track you'll want to see the Start/Finish line. You HAVE to get on your knees and sign the checkered stripe. Space on the white squares is sometimes at a premium, full of scribbled messages and the signatures of your fellow race fans. By following this bonus tip you'll be among the lucky few able sign in bright silver anywhere you want on the black squares. Like just about every sports event you attend, the start time listed on your ticket is when the action actually gets underway. At Bristol, if you wait until that moment to get settled in, you'll miss some of the most impressive moments. Roughly an hour and a half before the Cup Series race begins, the pre-race musical act will take the stage. That happens inside the colosseum and as far back as The Insider can recall the featured artist or group has always been big name who hasn't been featured by everyone else. By the time it's all over, you'll be a believer. Just like the Insider promised at the start, you'll absolutely understand the track's catch phrases, "It's not just a race, it's the place. It's Bristol, baby!" One of the best customer service scores that this Speedway makes is the way they set you up to experience it all over again. Bristol tickets automatically renew for the next NASCAR season, meaning if you buy two Season Tickets for 2018, before the end of the year the track sends you a renewal to lock in the same seats for next time. That's when you can sign up for the payment plan that breaks the cost down into several smaller payments. There's no extra charge to do it and it makes 'saving the date' a breeze. Bonus Insider Tip: If you know you'll be coming back next time for the races, it pays off to set your plans in stone while you're here this time. Bristol hosts a post-race victory lane celebration - exclusively for fans who renew their tickets on-site. The winner of the big race is always on an adrenaline rush for hours after their leading run, so they're pumped by the time they talk to the crowd. Take advantage of the opportunity and help them celebrate in style. Usually you get rewarded with something else, too, so look out for the signs telling you where to get a renewal set up while you're there. Experiencing NASCAR races at Bristol Motor Speedway will leave you in awe. We hope these Insider Tips help set you up for maximum enjoyment when you take on a Bristol trip. Hold on and have fun - you're in for an amazing ride! 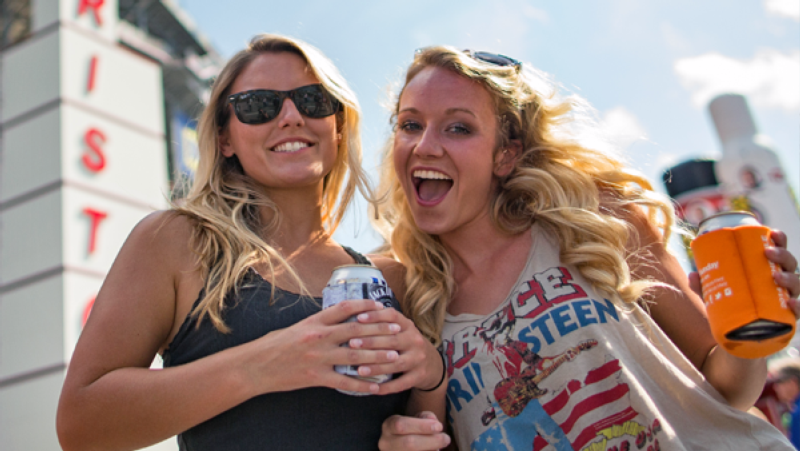 If you have any insider Bristol tips, share them with us via email to bristol@bristolmotorspeedway.com.